Yesterday, Mike put up a grim piece of news. The Institute of Free Trade has issued a report, edited by the Eurosceptic Tory MEP Daniel Hannan, recommending that after Brexit private American healthcare companies should compete with the NHS to run hospitals. The IFT also has the backing of the International Trade Minister Liam Fox. The IFT has also said that Britain should accept American environmental standards as equivalent to British, and end the ban on certain American imports like chlorinated chicken. These moves, the report argues, would allow Britain to rewrite the rules of global trade and embrace new trading freedoms after Britain leaves the EU. As well as having the support of Fox, who is also in favour of feeding us all chlorinated American chicken, it’s also backed by Boris Johnson. Which shows you exactly how both Fox and Johnson hate the NHS, the British environment and food hygiene and standards. So there you have it. It seems Brexit is being supported by the Conservatives as the excuse they need to fully privatise the National Health Service – or at least, the profitable parts of it. They have tricked us into voting away our international reputation, our rights, our economy, and now – it seems – our health service. I am not surprised that Daniel Hannan was involved in the compilation of this despicable document. The French philosophical Feline over at Guy Debord’s Cat has been critiquing him for donkey’s years. Hannan’s a right-wing Tory MEP for Dorset and is, or was, something to do with the Torygraph. And he hates the NHS and has demanded its privatization on numerous occasions. And like his party, he’s a shameless liar. So great is his mendacity that the Cat refers to him as ‘the Lyin’ King’. As for American healthcare firms wanting to get their piece of juicy NHS action, that was always what the piecemeal privatization of the NHS was about. Peter Lilley, who pranced up and down with his cretinous little list of people he hated in front of the Tory conference in the 1990s, admitted that he created the Private Finance Initiative to open the NHS up to private enterprise. And the Tories great, molten idol, Maggie Thatcher, wanted to privatise the NHS completely. She was only stopped by a massive cabinet rebellion. But she and they still carried on with a plan to encourage people to take out private healthcare insurance and privatise whatever they could of the Health Service itself. And Blair, Thatcher’s ideological spawn, fully endorsed this idea. The murderous work capability assessments were adopted on the recommendation and very definitely unscientific research by the American private health insurance firm, Unum. A firm prosecuted by the Federal government for massive fraud on its policy holders. Blair went ahead with the Tory’s part-privatization plans, opening up the Health Service to private healthcare companies and creating the CCGs which commission healthcare services, on a model taken from the American private healthcare company Kaiser Permanente. And it’s also no real surprise that the Americans should want to come over here and steal our NHS. Thanks to those firms, the private healthcare system in America is damn well near collapse. A very large chunk of the American public can’t afford their insurance. Every year, tens if not hundreds of thousands die because they can’t afford treatment. The Young Turks have reported that down in Texas, people are hoarding medicines or taking drugs from vets because they can’t afford decent medical care. Other Americans are heading south into Mexico because medical treatment there is cheaper. Bernie Sanders, the very left-wing Democrat politician, has demanded Medicare For All – state payment for all Americans’ healthcare. The idea is gaining popularity, which is why the corporatist establishment, both Democrat and Republican, is trying to marginalize him and suppress the voting rights of the section of the American voting public, who support him. If you want to see what a trainwreck the American healthcare system is, and how badly Medicare For All is needed, go and read his book Our Revolution. In one chilling passage, he describes the tens of thousands of people, who sleep out in their cars once a month in Virginia, on the weekend that the dentists offer their work free. And a few years ago, the American healthcare system almost collapsed completely in certain areas. This is what will happen over here, unless we kick the Tories out. As for American environmental and food hygiene standards, they’re deplorable. The water in Flint, Michigan, is so polluted it should be undrinkable. And there are 25 other towns where it’s even worse. There are regular spills from the oil pipelines that cross the country, contaminating the water table. And thanks to Big Oil there are parts of the Louisiana swamps that are just one oily mess. But the Koch brothers spend big money to convince the American public that there’s no environmental threat here, and climate change isn’t happening. This is also going to happen over here if Fox, Hannan and Johnson get their way. Don’t let them. Vote them out at the earliest opportunity. This is the text of another of my table-top pamphlets, this time against the notorious Work Capability Tests. These were also introduced by New Labour at the behest of Unum and other private healthcare providers. These are not objective tests to assess who is well enough to support themselves. They are simply a callous, bureaucratic mechanism for throwing people with disability off the benefits they need to support themselves. These have included severely disabled people, including terminal cancer patients in comas! This iniquitous system has been retained and expanded by the Tories – David Cameron and his Lib Dem lackey, Nick Clegg, and now Theresa May. It is killing people. As I’ve mentioned far too many times before, about 600 + people have died in misery and despair after having their benefit withdrawn due to these tests. Stilloaks, Johnny Void, Mike at Vox Political and DPAC have put together lists and videos putting names to faces, to show the human reality of these statistics – whose mothers, fathers, sons, daughters, brothers and sisters were killed thanks to the Thatcherite insistence of cutting down on welfare. The number of people, who have died after having been assessed as ‘fit for work’ is well above ten thousand, though the true figure may never be known. Mike and the other disability activists, who tried to get the figures were blocked by IDS and the DWP at every turn when they tried to get them. Jeremy Corbyn has also promised to end workfare. So vote for him. Don’t let the Tories kill more disabled people under the pretence of saving money. One of the very worst policies introduced by various governments as part of their campaigns to dismantle the welfare state over the past decade has been the Work Capability Test. This was introduced by New Labour in October 2008 along with a new benefit for the disabled and long-term sick, the Employment Support Allowance, which replaced Incapacity Benefit. The Work Capability Test is intended to show if the person claiming benefit really cannot work. It consists of questionnaire, in which boxes are to be ticked in answer to particular questions about the claimant’s health and disability. 2Ten of these tests were on the claimant’s physical health, and another ten are on their ‘mental, cognitive and intellectual’ fitness. There may also be a brief physical examination. The tests are performed by medical doctors working on behalf of a government outsourcing company. This was given to the French company, Atos, but the company was forced to terminate its contract a year early in 2014 following public anger at the system’s incompetence and maladministration. The contract was then given to an American company, Maximus. The tests may be repeated as often as the JobCentre Plus decides. If the disabled person scores low in the tests, they are judged fit for work. They lose their ESA and are told to apply for Jobseeker’s Allowance. The tests are based on a monograph, The Scientific and Conceptual Basis of Incapacity Beneft, by Gordon Waddell and Mansel Aylward, of 2005 and a succeeding work, Is Work Good for Your Health and Wellbeing? By Gordon Waddell and Kim Burton. They were also strongly influenced by a 2001 New Labour conference, in which Aylward was a contributor, Malingering and Illness Deception. These led in turn to the publication of a Green Paper in 2006, A New Deal for Welfare: empowering people to work – an independent assessment of the arguments for the proposed Incapacity Benefit reform. Both Waddell and Aylward were professors at the Unum Provident Centre for Psychosocial and Disability Research at Cardiff University, which was funded by the American insurance giant from 2004-9. The Work Capability Test uses a form of Bio-Psychosocial model of assessment, developed in America by Unum Provident. This model of assessment is considered to have been devised by George Engel in 1977. In 2006 a paper produced by Professor Christopher Butler and his colleagues attacked the model as ‘wanting’ and inadequate. Waddell and Aylward’s 2006 paper has also been attacked and discredited by Emeritus Professor Alison Ravetz. Unum, and pseudo-medical testing actually became part of the disability benefits system twelve years or so prior to the Waddell and Aylward’s paper, in 1993, when the-then Conservative Health Secretary, Peter Lilley, introduced tougher testing designed to evaluate whether claimants were totally incapable of work. They had previously been awarded benefit if they were unable to do their job. Lilley considered that this approach was to open to sentimental interference by doctors, and so set up an ‘Incapacity benefit medical valuation group’, whose members included Dr John Le Cascio, the second vice-president of Unum Corporation. Lo Cascio had recently been seconded to its British branch, Unum Ltd, based in Dorking in Surrey. In 1994 Lo Cascio was appointed to train the British doctors charged with carrying out the tests by the Benefits Agency Medical Services. New Labour claimed that the purpose of the Work Capability Tests has been ‘to get people back into work’. This was always a misleading claim. New Labour had a ten-year plan to remove one million people from the 2.8 million receiving disability benefits. Their Secretary of State for Health declared ‘We know that being in work can be good for your wellbeing’, echoing the title of the paper by Waddell and Burton. 13 Years before that, Lilley introduced the tests with the aim of cutting £2 billion from the benefits bill. Spartacus’, a network of disability researchers and campaigners, denounced the way claimants were ‘wrongly assessed, humiliated and badly treated’. In response to repeated requests by disability campaigners, the DWP finally released the figures for the number of people dying over 11 months in 2011 while in receipt of ESA. 10,600 people in total had died. Of these, 1,300 had died after being taken off benefit following the decision that they were ‘fit to work’. Some of the people, who have died, committed suicide in despair at having their income terminated. One of these was a 47 year old man, who took a drug overdose. Others experienced a deterioration in their mental health due to the stress of assessment. Between 2008 and 2014, there were 600,000 appeals. This constitutes a third of all assessments, and in 2012-13 there were 465,000 appeals, with a success rate of 39 per cent. In some areas, lawyers had a success rate of over 80 per cent overturning decision by Atos against the claimant receiving benefits. 60 per cent of those, who had successfully appealed had scored zero. That is, Atos had declared them entirely fit for work. In 2013, however, the Conservative government took the decision to end legal aid for claims for welfare payment, which meant that fewer people would be able to afford to take the government to court. In America, Unum Provident was fined $31.7 million in a class action lawsuit in California in 2003 for running ‘disability denial factories’. Two years later in 2005, John Garamendi, the California Department Insurance Commissioner, fined the company $15 million, declaring ‘Unum Provident is an outlaw company. It is a company that has operated in an illegal fashion for years’. The insurance commissioners of 48 American states had made a settlement with the company by 2006 that required it to review 200,000 claims and pay a $15 million fine. In 2008 the American Association of Justice declared that the company was the second most discredited insurance provider in America. Despite public anger at Atos’ conduct of the Work Capability Test for ESA, the government in 2012 awarded the company another contract, worth over £400 million, for assessing whether disabled people were suitable for the Personal Independence Payment that was scheduled to replace the Disability Living Allowance in 2013. The Disability Living Allowance provided the handicapped with up to £130 per week to help them look after themselves. This was mostly awarded to help people cook, wash, and assist those with mobility problems. In the three years from April 2013 to 2016, this is to be phased out and replaced with the PIP, which is designed to get people back into work. The government was determined to cut spending on the PIP by twenty per cent during these three years, after the number claiming DLA rose by 30 per cent to 3.2 million people between 2002 and 2011. This was expected to throw 500,000 people off disability benefit. As with their administration of the ESA fitness to work tests, Atos has proved to be less than efficient in its administration of the PIP. Those applying for the benefit may have to wait months before being notified that they are entitled. The cancer charity, MacMillan Cancer Support, stated that there were serious delays in the approval of payments. As well as leaving the terminally ill without this benefit, it also meant that they were unable to claim other vital benefits with which PIP was linked. As a result, some were forced in their desperation to take out loans from payday loan companies, which have a truly exorbitant interest rate. The number of problems with ESA dealt with by Citizens Advice rose by 54 per cent from 2011 to 2012, when the bureaux dealt with 450,000 of them. The system is based on assumptions that claimants need to be forced back to work, rather than supported on their own terms, and that those not well enough to go back to work are somehow perceived as scroungers. These attitudes only serve to further damage individuals’ mental health and increase the time until they may be ready to return to work. Richard Hawkes, the chief executive of Scope, another disability charity, stated that the tests ‘should be more than an exercise in getting people of benefits. It should make sure disabled people get the specialist, tailored and flexible support they need to find and keep a job.’ The House of Commons Work and Pensions Committee condemned the tests, stating that the system was so flawed it needed to be completely overhauled. Guy Standing in his A Precariat Charter states that governments have been able to cut benefits for the disabled far more than for other groups, because they are a minority and so there is likely to be fewer objections to their treatment and lost votes. He also recommends that any firm hired by the government to provide services for the disabled should be bound by three commitments. The first should be to the disabled themselves; the second should be to the government; and the third should be to the whole of society, as the rest of us could be next. The employment contract awarded to such outsourcing firms should include penalty clauses requiring them to compensate the disabled claimant directly when they do not award them the correct benefits. This compensation should be much more than the benefits the disabled person did not receive. They should also be penalised for their mistakes. This would be a start, but it is not enough. The problem lies not with the companies administering the tests, but with the whole system of tests itself. 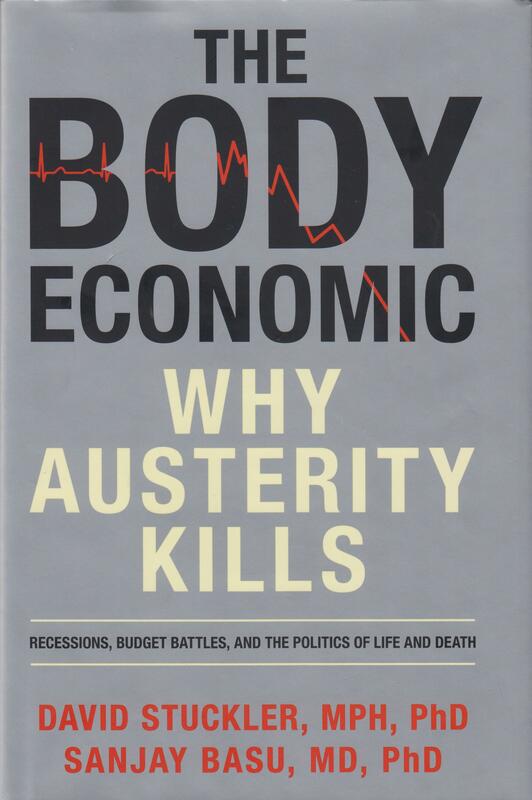 The cause of the problem is attitude of successive governments, from John Major’s Conservatives, through Blair and Brown’s New Labour and then the Conservative-led governments of David Cameron, that the disabled should automatically have their benefits reduced, regardless of the poverty and hardship involved. The goal should be to provide benefits to support the poor and disabled, rather than cuts intended to reduce the tax burden for the rich. The Work Capability Test and the poverty and stress it inflicts should be stopped. Now. I’ve been meaning to get this off my chest for a little while now. One aspect of the anti-Corbyn Labour MPs that really annoys me is the hypocrisy that comes with their constant playing at being the victims of terrible abuse by Momentum and Jeremy Corbyn. Every so often they make pleas for political discourse and exchange to be made kinder or more genteel, while showing precious little of such qualities themselves. Jess Philips, according to the Groan, is having a panic room installed at her constituency office. But Mike’s already stated that she herself is an abrasive character online. This doesn’t justify any threats against her, but it doesn’t make her quite the innocent victim she claims either. I’ve reblogged a video several times made by a couple in Angela Eagle’s constituency pointing out that Eagle’s story about the brick being thrown by Jeremy Corbyn supporters through her constituency window is a load of hogwash. It begins with footage of Eagle giving her story to the press. She concludes by saying that ‘We need a kinder, gentler style of politics’, before turning smartly on her heel and marching off, surrounded by her aids. This little piece has infuriated me ever since I’ve seen it. Firstly, it seems more than a little imperious. It’s bit of ‘I, the Great One, am speaking. Mortals listen!’ I also object to it on the grounds that it seems to be trying to deny the fact that her critics and opponents just might have entirely justifiable reasons for their anger. She seems to want to have the kind of exchange where everything is calm and mild. Now this is the kind of exchange I prefer. I honestly don’t like abuse and trolling. But on certain issues, if people do become abusive, it can be because the issue they’re discussing has all too real implications and consequences for them. And many of the policies enacted by the Blairites have had terrible consequences for Britain as a nation, and specifically for the poor and working class. Let’s go through them. Firstly, Blair took Britain into an illegal war in Iraq. The country had not threatened us, and at the time we invaded, Saddam Hussein was pretty much a joke to the rest of the Middle East. He was a thug, but he was contained. And the country over which he ruled was relatively prosperous, and with an advanced welfare state and educational system, at least for the region. This has all changed. A quarter of a million Iraqis have died, and the country degenerated into a bloodbath of competing factions. Their economy has been wrecked, and ISIS and related death squads have terrorised its population. Our squaddies have been sent to fight and die, not to keep the world safe, but to produce even greater profits for the oil companies and American multinationals wishing to get their mitts on the country’s appetising state industries. Domestically it reinforced the view of many Muslims that the country was being targeted simply because it was Islamic. So it’s increased more racial and religious friction and intolerance over here. Is the Iraq invasion a good reason for people to get angry. Yes. Then there’s the privatisation of the NHS. Blair, Brown and the others in New Labour took over the Private Finance Initiative and massively expanded it as official labour policy. 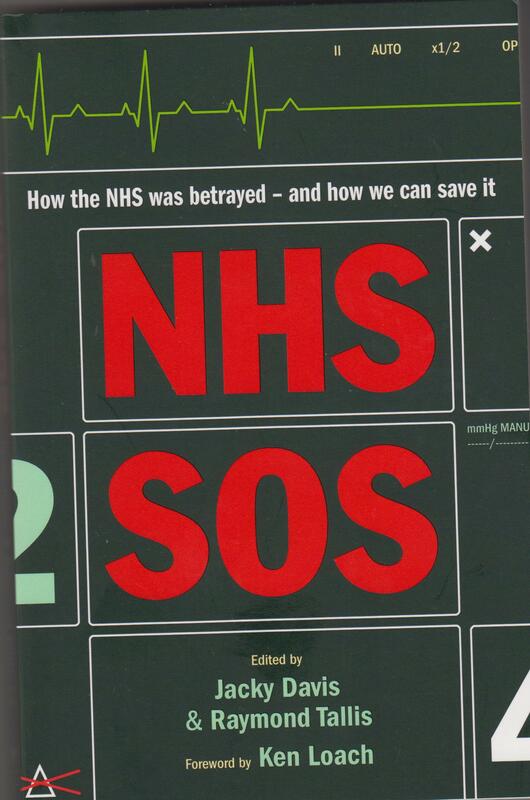 They also began to split up the NHS into different commissioning groups, with the intention of creating competition. These commissioning groups were to provide healthcare not only from the NHS, but also from private healthcare companies. Hospitals and doctors surgeries have been taken over by private hospital chains. More than half of all hospital treatment is now commissioned from private healthcare providers. The ‘walk-in’ centres, or polyclinics, that were set up were also intended to be privately run. New Labour took as their care model a private American company, Kaiser Permanente. These policies have been taken over and further extended by the Tories after they won the 2010 election. Now it’s almost set to be totally privatised. Frankly, this makes me absolutely furious. Let’s take the Work Capability Test. This was adopted by Blair and co. because they uncritically swallowed the Tory rubbish about most disabled people, the long term sick were malingerers and scroungers. They took over a tick-box questionnaire approach to examining people’s health pioneered by Unum, an American health insurance company that was guilty of some of the biggest insurance frauds prosecuted by the American state. The questionnaire used, and its underlying assumptions, are scientific nonsense. The policy is so notorious, that Atos decided to throw in the towel early, and were released from their contract a year before it was due to expire. But the policy goes on, and it has had terrible real world consequences. Seriously ill people have been thrown off their benefits, and in some cases, have actually starved to death through lack of an income. Those with mental health problems, like anxiety and depression, have become worse, often much worse. As an example of how farcical this is, you consider some of the worst incidents, where people terminally ill in comas have been told they should find a job. Or when an amputee was asked when they expected their limbs to grow back. People are suffering and starving because of this. This isn’t a case of abstract policy, an interesting intellectual puzzle, which has no clear consequences for people’s lives. It makes a different over whether people are actually able to put food on their tables, or have a roof over their head, or can live out their lives with dignity. It’s the same with the issue of benefit sanctions. Thanks to them, and the flexible employment policies Blair and Brown were so keen to employ, there are about 4.7 million people living in ‘food poverty’ in this country. There are cases where mothers are starving themselves, because it’s the only way they can afford to feed their children. And I can remember an incident I read on one of the other blogs, about how people in one town came to the aid of a young man, after he broke down in tears outside the Jobcentre, because they wouldn’t help him. As with the Work Capability Test, this is an issue that all-too real consequences for millions of people. And when nearly five million are going hungry in the fourth richest country in the world, you bet people have a right to be angry. You can expand this to include the way the treatment of jobseekers has been deliberately made as humiliating and degrading as possible, with the imposition of workfare, capitalist forced labour brought to you by Sainsbury’s and the myriad other firms using it to cut down on labour costs. This was introduced as part of Margaret Thatcher’s return to ‘Victorian values’, which in this case meant the same values on which the workhouse system was established. The DHSS and the Benefits Agency always had an element of danger with them, because claimants naturally got angry with the state bureaucracy that could deny them money. People are left angry, despairing and furious with their treatment by the Jobcentre. But they also have a right to direct this rage at the politicians, who created the system. And here New Labour have also shown themselves to be despicable. Cameron introduced workfare, but Ed Miliband ordered his cabinet not to oppose it, in case the Labour party should be seen to be soft on ‘benefit scroungers’ by the Tory press. Again, people have a very definite right to be angry. I also think part of what makes me angry about Eagle’s behaviour, is her manner. It’s as if she seems to be completely insulated from the grim reality of the suffering New Labour have inflicted. She sounds to me like a bureaucrat or manager, completely obsessed with administering the policies that have been set, and getting irritated because somebody, somewhere, has had the temerity to object to it. I’ve remarked before that many of the Blairites seem to come from affluent, privileged, middle class backgrounds. My guess is that they genuinely don’t appreciate the harm they’re doing, because they’ve never experienced it themselves. They’ve only ever seen these policies from the vantage point of people, who’ve taken on the task of carrying them out. And they find it confusing and intensely infuriating when the masses don’t just accept what’s being done is for their good. I am not saying that people have a right to abuse politicians or Jobcentre staff, or threaten them, let alone attack them or try to damage their property. I am very definitely against all of that. But people do have a right to be enraged at what has been done to them by the Thatcherites, both in the Tories and in New Labour. And anger, as John Lydon sang, is an energy. The gaol should now be to use this anger, this resentment against an unfair and deliberately cruel and exploitative system, to argue, research, expose and organise and keep the pressure on relentlessly to overturn these policies. On Thursday we go to the polls again. In Bristol, the elections are partly about deciding who is to be the new elected mayor. The Tories were very keen to introduce this idea from America into Britain, along with elected Police and Crime Commissioners. I find the name of the latter post rather amusing, rather like the term ‘solicitor’ for a type of lawyer, when the term ‘soliciting’ is also used to describe the attempt to procure sexual favours illegally. A Crime Commissioner sounds exactly the opposite of the job it describes. The term ‘commission’ is, after all, used to describe the process by which someone or an organisation hires someone else to perform a task. Like a government or company may commission a report. A Police and Crime Commissioner therefore sounds like someone, who not only hires the police, but also arranges to hire the criminals to commit the crimes. Of course, this was all part of the Tories’ localism campaign, which was ostensibly about extending democracy and creating a quasi-anarchistic society through privatising everything, and trying to get volunteers to run local services, like libraries, unpaid. While throwing the unemployed and disabled off social security for the sake of giving tax cuts to billionaires. I doubt somehow the Tories would be quite so keen on democracy if it came in the totalitarian form envisaged by ‘Gracchus’ Babeuf. Babeuf was a French Revolutionary, who was executed, along with his comrades, for trying to organise a Communist revolution, the ‘Conspiracy of Equals’, to overthrow the liberal regime of the Revolutionary state. Babeuf wanted the state to own all property, but unlike the later Marxist Communist states, elections would still be held. These would include not only political authorities, like the local and national governments, but also for the posts running businesses, including local shops. The Tories aren’t keen on democracy at the best of times. Their electoral reforms, which were supposed to be passed to prevent voter fraud, are modelled on American legislation, which one Southern US government admitted was to stop the Democrats’ supporters – young people, the poor and Blacks, from voting. They really wouldn’t want democracy if that meant people could elect everything, including who ran the local corner shop. And they definitely don’t the workers having anything to do with the way their businesses are run.